Summary: There is a comprehensive new proposal for the approach which should be taken for the Brexit negotiations for the UK. 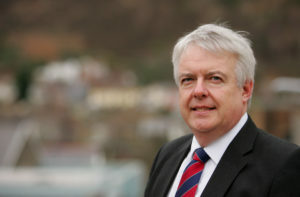 It has been drawn up by the leaders of the Welsh Labour Party and Plaid Cymru. It provides a valuable template that could be adopted by the English Labour Party should it have a moment to think about this issue which is undoubtedly the most far-reaching and critical matter on the current political agenda in the UK. Yes, we actually have reasonably detailed outline of what would be an acceptable plan for Labour. 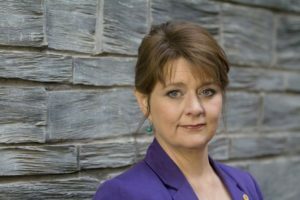 Unfortunately it is a plan drawn up by the the leader of the Welsh Labour Party, Carwyn Jones in agreement with the leader of Plaid Cymru, Leanne Wood. Wales voted to Leave the EU, and this plan is designed to respect the Welsh vote to Leave but would give the UK “full and unfettered access” to the single market. Continued participation in the single market. A balanced approach to immigration linking migration to jobs with “properly-enforced” employment practices that protect all workers. This would involve firstly implementing current EU rules that already could be used to limit substantially migration of people who do not have a job in the UK. There is more on this at: http://outsidethebubble.net/2016/12/06/massive-negligence-by-theresa-may-when-home-secretary/ . Legislation would also be introduced to ensure that workers from whatever source cannot be exploited. Requires the UK government to make good on promises that Wales would not lose funding as a result of Brexit. Such a promise is essential for the remainder of the UK believe. It also calls for a fundamentally different relationship between the devolved governments and the UK government. Essentially this is asking for more autonomy for the regions in the way that Labour has been calling for for some time. The desire for local responsibility and local autonomy is something that is strong particularly with the widespread and growing distrust of big central government. The English Labour Party have so far been unable to articulate any particularly clear approach to Brexit other than to ask MPs to vote for Article 50. Many, including important Labour shadow cabinet ministers will simply refuse to do so, insisting on safeguards and the right to reject whatever the Brexit negotiators managed to come up with. Labour is continuing to haemorrhage support and we must expect the by-elections on 23 February to be a disaster for the Labour Party, leading to a significant increase in the Tory majority in parliament. Canvassers in the constituencies are finding the electorate much disillusioned with the leadership and in particular the lack of leadership surrounding the whole business of Brexit.